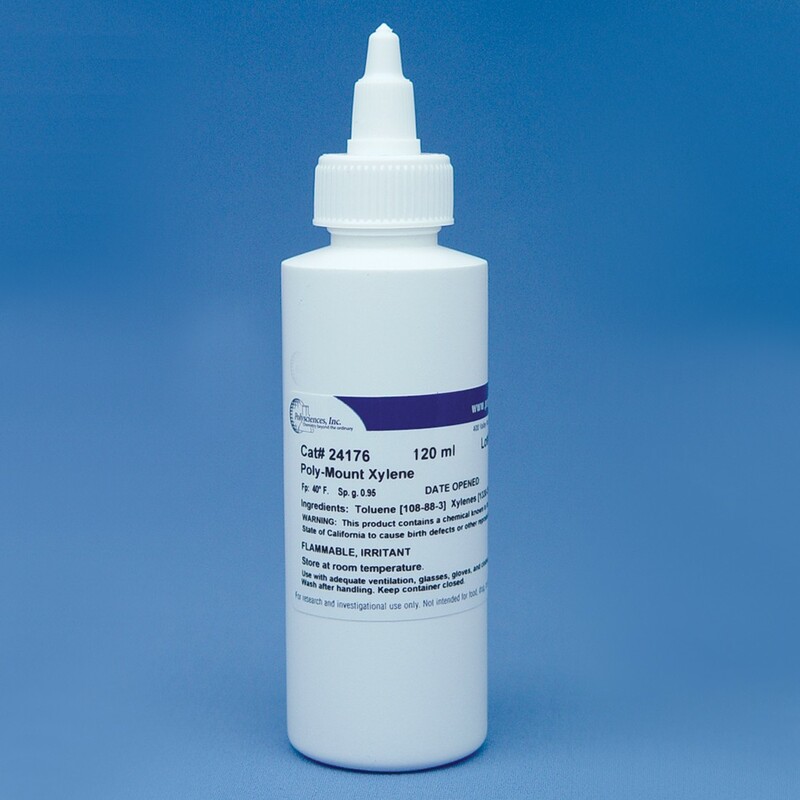 Poly-Mount Xylene | Polysciences, Inc.
Xylene based routine coverslipping medium for histology and cytology slides. This acrylic medium provides superior optical clarity. Poly-Mount Xylene is also recommended for automated coverslipping instruments that use glass coverslips. It contains an anti-fade agent to prevent fading and yellowing with long term storage. Dries quickly for viewing, storage, and filing.